Dessert Wars is right around the corner! The annual event will be taking place Monday, February 22 from 6 p.m. until 8 p.m. in the Amway Grand Plaza’s Ambassador Ballroom. Based on feedback and suggestions from past attendees, we’ve made some changes to this year’s event that are important to note. In years past, some attendees have brought boxes, bags, and even coolers with them to the event. Please note that this year, none of these items will be allowed into the Ambassador Ballroom. 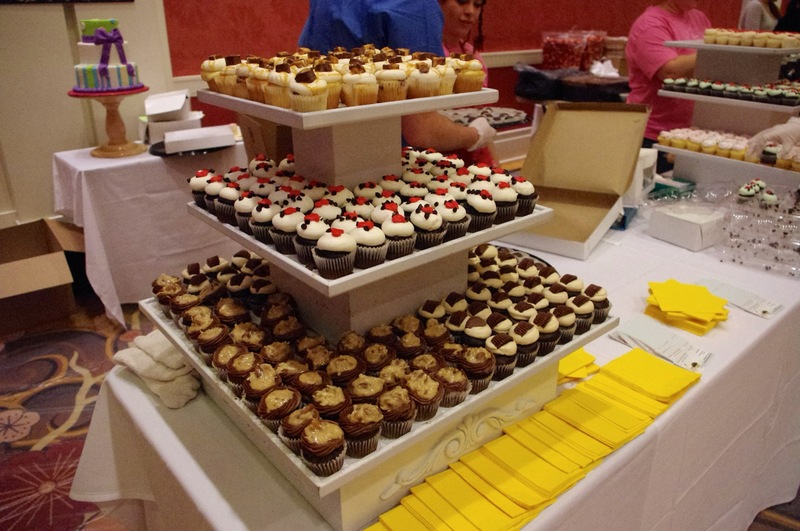 Related to the above, attendees at this year’s Dessert Wars will not be allowed to bring desserts out of the Ambassador Ballroom. This is to ensure that everyone who attends has a chance to sample as many of the desserts offered as possible. Don’t worry about not being able to carry your desserts around with you. After getting suggestions from past attendees, everyone attending Dessert Wars 2016 will receive a plate courtesy of Bow Tie Dental. Another suggestion from past attendees has been that we provide more water stations throughout the ballroom so everyone can stay hydrated and cleanse their palates throughout the event. Multiple water stations will be placed around the Ambassador Ballroom for your convenience. Now that you’re up to date on this year’s changes, we can’t wait to see you at Dessert Wars on February 22 at the Amway Grand Plaza!